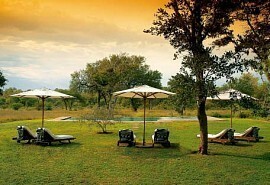 This 6-night comfortable vacation to Malawi encompasses the best of both beach and bush. Lake Malawi offers great boating and snorkelling opportunities; and it's the largest inland sea in Africa. You'll also have the opportunity to explore riverine forests and the floodplains of Liwonde National Park. This is a great combination trip for those on a budget who want to enjoy game drives and a unique island style holiday. From USD 2500 per person . This is subject to change depending on season and availability. Depart Johannesburg for Lilongwe. Here you will be met by your guide and transferred 4-5 hours to Mvuu Lodge in Liwonde National Park. 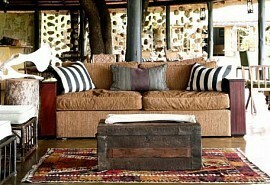 You will spend three nights at Mvuu Lodge. There are a number of hippo pods that inhabit the Shire River where your accommodation is located. 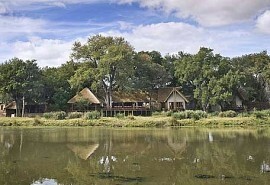 Mvuu Lodge is located on the banks of a quiet lagoon and has 8 well-designed tents, each with a private viewing platform. Enjoy a wealth of activities such as boat safaris, guided walks and game drives. After breakfast, you will be transferred 3-4 hours to the Kayak Africa Base Camp in Cape Maclear. From here you can choose to either kayak to the Island or take a 45 minute boat transfer. 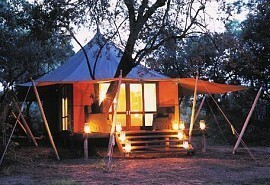 Spend spend three nights at this camp. The Lake Malawi National Park was the first freshwater park in the word. Mumbo Island is located on an untouched, deserted island off the Cape Maclear Peninsula. Completely surrounded by water, Mumbo Island makes an ideal base for guests who want to enjoy swimming, snorkelling and kayaking. The camp itself is hidden on the rocks and in keeping with the island feel there are even hammocks at each lodge. There are plenty of activities available such as birding, kayaking snorkelling and scuba diving. Today you will be transferred by boat back to the Base Camp and connect to a 4 hour road transfer back to Lilongwe.